Toons of the World, Start Your Engines! It's been quite some time since I was able to write a post about my adventures in Toontown, but with all of this Toon Trooper work dying down, I'm able to put my focus back on what my job is supposed to be: Running the Toontown Blog. Sir Max is BACK, baby! Now let's talk Driver Safety. Don't give me the "You stink!" eye. I know I've not been the best driver in the past, but I'm a changed Toon! And by changed Toon, I mean that the Toon Council mandated that I write a lesson on Driver Safety or else I'd be suspended from Goofy Speedway. Oof. Some of you may be thinking "Well, who cares? Goofy Speedway doesn't have much to do." My dear doubtful Toons, you must not have heard about The Grand Prix and Racing Leaderboards! That's right -- coming in Toontown's next update, Goofy Speedway is getting all sorts of fixes along with these features. The Grand Prix is a new upcoming weekly event here in Toontown, occurring every Monday, where Toons can enter a three course racing tournament for massive amounts of tickets! Better yet -- Goofy Speedway will be hosting a Grand Prix Week at the launch of this new event, which means Toons can race in the Grand Prix as much as they want for an entire week when this update is released! The Grand Prix also allows Toons to receive the final racing trophy, which grants the legendary 137th Laff Point for the first time ever. Who will be the first Toon to claim that prize? Oh, and about those leaderboards. You know, the one I crashed into a few years back? They're all fixed up! Toons can compete for the top racing time to get their name on the leaderboard. Inspect tunnels for dripping paint as you draw near. Toons have been known to crash their cars into tunnels painted onto walls, known as the "Roadrunner effect." Whenever eating and driving during a Battle race, make sure all banana peels are discarded out the window. Failing to litter your banana peels is just a missed opportunity for a good gag. If a sign tells you to stop, make sure to listen to it or else it'll be very upset. I ignored a sign who asked me to stop and it started yelling some rather un-Toony words at me. Remember your traffic signals: Red means STOP, green means GO, and yellow means PANIC AND DECIDE WHETHER TO FLOOR IT OR SLAM ON THE BREAKS. No diving in the car pool lane unless a lifeguard is on duty. When driving through quiet neighborhoods, it's mere politeness to roll down your windows, throw on some shades, and crank up your bass to max volume while be-bopping to the Toontown Hop. Everyone stares at you in adoration! The Goofy Speedway enhancements aren't here quite yet, but never fear -- these activities are in final testing and will be released to Toontown as quick as you can get that 300 racing wins trophy! Don't worry, I'm kidding! Youch, that one hit home. This update is so massive that we're splitting the posts up into multiple days leading to its release. 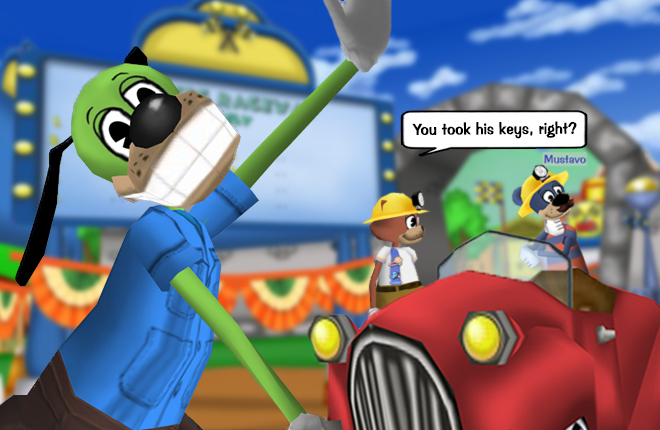 Check back tomorrow for another blog post with details about Toontown's biggest update yet! SO HYPED! Cant wait for this update! Wow! Step four is funny! "...and yellow means PANIC AND DECIDE WHETHER TO FLOOR IT OR SLAM ON THE BREAKS." It gets me EVERY time! HA HA HA HA HA HA HA HA HA HA!!! Glad to see TTR making it look like a sequel to TTO with all the same stuff coming soon and new things coming. Can't wait for the fixed racing! So hyped!!!! Who may be the first to earn the legendary 137 laff? YUS, new update! 2.0.0 here we come!! Omg, I can't wait, can this update come quicker?! Also, I really laughed at "Red means stop, green means go, and yellow means PANIC AND DECIDE WHETHER TO FLOOR IT OR SLAM THE BREAKS"
YESSSS, I NEEDED THAT LEADER BOARD! Wow, people can actually max their toon! And I bet everyone has fallen for the roadrunner effect many times... ouch. Omg! Your fixing the goofy speedboat glitch? YES!!!!! And you can finally get 137 laff? DOUBLE-YES!! Wowzers, is this gonna be a great update or what?? Can't wait for the new update it's gonna be awesome! I may not be too good at racing, but I'm excited for the update! Keep up the Toontastic work! And for other people: ARE YOU TOON ENOUGH FOR THIS NEW UPDATE? I know I am. Well, I'm glad to see these finally coming into TTR! Hope someday soon, we may get new race tracks and new trophies. I'd like to see new trophies based on Goofy Speedway's tracks. I do rule #6 everyday. Toon Town will rain with joy once again, let us shout in HOORAY ! so cool! i cant wait to see this update! I JUST SAW A YELLOW TRAFFIC SIGNAL AHHHHH!!!!!! 137 Laff hype everybody!! Woohoo! 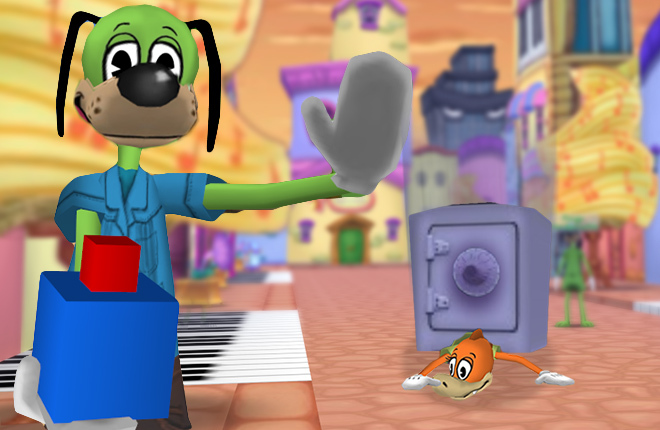 Will the mac audio bug be fixed in toontown 2.0? So excited for the new update. Cracked up at all of the hilarious driving tips! Boogity boogity boogity toons, lets go racing! This is going to be epic. Ride like the wind and leave everyone in the dust. Should I give the "You stink!" eye? No it is a joke. Ha ha ha ha! Funny.... or not. Welp, I just can't wait! Good luck to the TTR Staff on doing the update! This is AWSOME. I have no words. I cannot wait for that update. Awesome! I can't wait for this update! SWEET!! I can't wait for the new update. I'm so excited!! I can finally get my final laff! so excited! I am so excited! Wait does this mean I don't have to apply for a driver's license at Toon Hall? SWEET! And I don't have to wait in line for 3 hours in DWV (Department of Wacky Vehicles)??? AWESOME! But wait, can I go into the car pool lane if I bring water wings? Glad to hear Racing is getting a fix! I raced once, and clipped RIGHT through the wall and off the track. Didn't do any more racing after that XD Maybe now I can have another try! Can't wait for the new update! I'm so excited for this new update ! 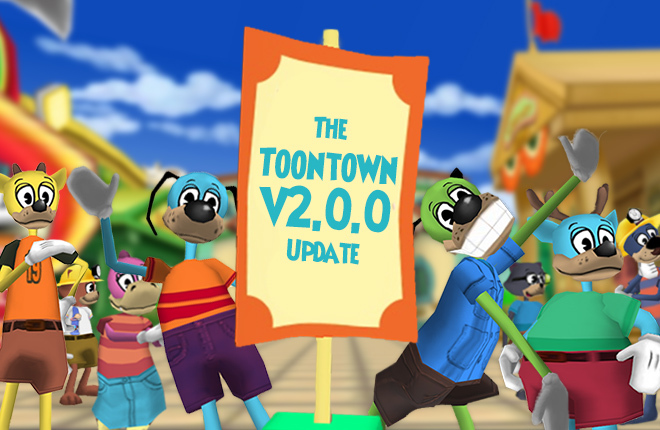 Thank you ttr staff for working so hard to bring us this new update !! Soo appreciated ?? Let's go! I'm so excited! Ayyy, all those 136 laffers i see can fnally be maxed. It's about cars this time! I'm hyped lol cant wait! Floor it or slam on the breaks, love it. Thanks for the post, looking forward to the update. I absolutely love these driving tips, but I think you missed the all-important rule number 7: Never forget to floor it when you enter a cog headquarters, and be sure to have an arsenal of toons prepared to throw pies and cakes as you drive by. This Update Is Gonna Be Amazing :D Toontown Is Gonna Be Fantastic! I can't wait! This is going to be amazing! Wow! This is the best update for Goofy's Speedway! I'm so excited for this update, I'll be able to get 137! I'll try to be one of the first 10 people to do so. WOOP WOOP! THIS IS THE HITTING POINT OF TTR! Your driving tips are very helpful. Thank you, Sir Max, for providing us some guidelines for the road. I knew it was coming! I never gave up on the team. 137 laff is getting closer and closer. LOL, I like the description for what to do at a yellow light. Very relatable. Can't wait! I'm super duper silly excited! I can't wait! I'm ready to start racing again. Hopefully they fix golf next! As Darrel Waltrip says, "Boogity, boogity, boogity! let's go racing!" We need mounts (cars) that help us get to places on the streets and they cost one jellybean to use each time. Like that would be amazing! Are you all Tooned-Up and ready to earn the legendarry 137 Laff? I know I'm Toon Enough. I can't wait for these new updates to come out! 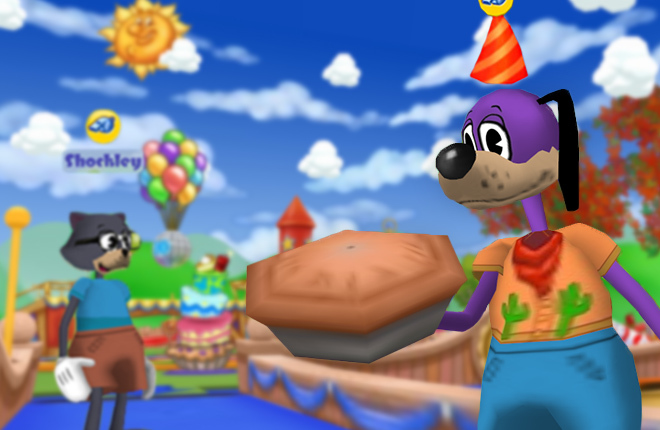 I also want to thank the Toontown Rewritten staff for working so hard to keep this game running for us. It really means a lot to have our old Tooniverse back. Keep up the hard work and I wish everyone the best of luck getting the legendary 137 Laff Point boost. Well im so hyped for everything new but where are the parties i wish it can be out soon! Finally, but I really don't think I'm getting 137 any time soon. Im very excited for the update! 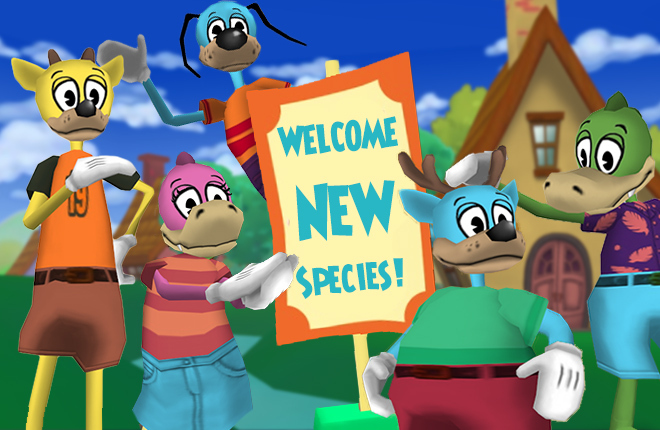 I LOVE TOONFEST!!!!!!!!!!!!!!!!!!!! DONT LEAVE ME CAR!!!!!!!!!!!!!!!! I'M COMING!!!!!!!!!!!!!!!!!! OMG TTR GOING TO UPDATE TOMORROW!!!!!!!!!!!!! WOOHOO!!!!!!!!!!!! I WANT TO GO TO TOONFEST!!!!!!!!!!! YAY!!!!!!!!!!!!!!!!!!!!!!!!!!!!! Floor it, or slam on the breaks, that is the question. rule #4 is pretty accurate to what a lot of human drivers do, which makes it even funnier. And I don't care what the stop signs say. I'm not listening to them OR their cog-words! it's a Speedway after all. What fun is stopping? This Is Sweet! I Cant Wait To Challenge People Against Peaches! When I read the racing rules, I cracked up at number three. I wonder what Sir Max's confrontation with the sign looked like. I am stoked for this. Your driving rules for yellow basically explained my whole entire town. If you can't wait for TTR v2.0.0, then just go to sleep until it comes out. if that doesn't work, (I know it didn't for me) then go play ToonTown Rewritten till servers go down for the update! YEAH! Can't wait to actually want to race again! It was super fun back in the TTO days (though I still remember it being... a bit buggy back then too). Yes!!!! I'm so happy racing is fixed!! By the way, love the safety tips, Sir Max!! Especially # 6!! Wow! This is so new. I will be liiiikkkiiinnngg it. To Party, or Not to Party?